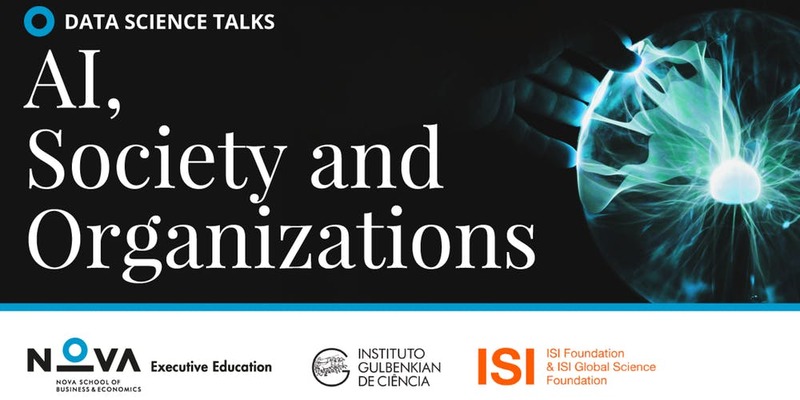 On the 7th of March 2019, CNETS Professor Luis Rocha will participate in a panel organized by Nova SBE’s Executive Education, Instituto Gulbenkian da Ciência and ISI Foundation with the theme of AI, society and organisations: experiences from applied projects in governments, companies and NGO’s, where the role of data science in today’s world will be discussed. 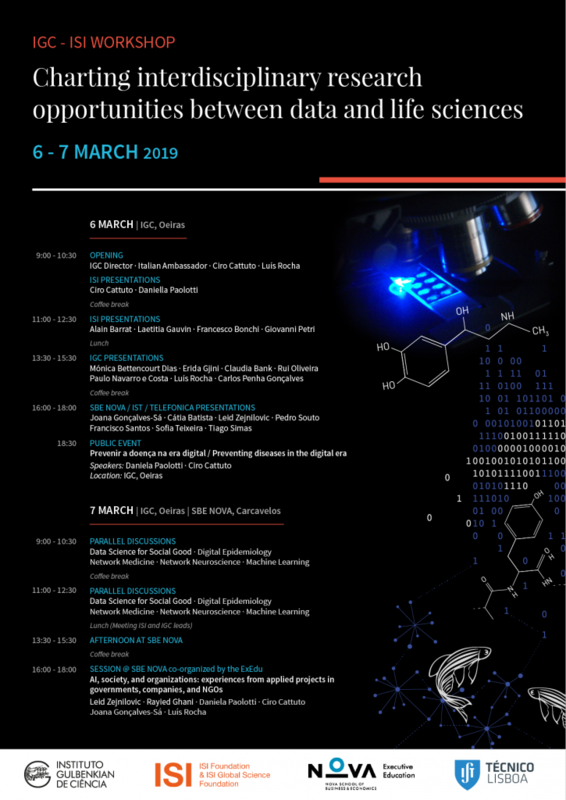 Other guest speakers, include Rayid Ghani, director of the Center for Data Science and Public Policy in the University of Chicago, founder of the Data Science for Social Good fellowship and Chief Scientist at the Obama for America 2012, Daniela Paolotti, Ciro Cattuto, Joana Gonçalves-Sá and Leid Zejnilovic. 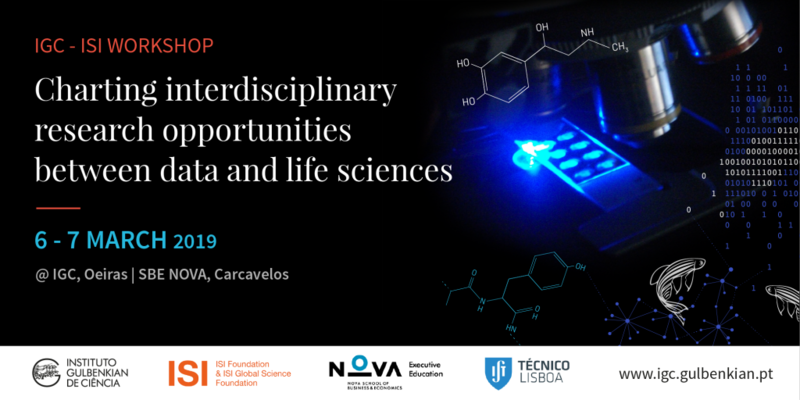 CNetS Professor Luis Rocha, together with ISI foundation (ISI) scientist Ciro Cattuto organize a workshop with the Instituto Gulbenkian de Ciencia to explore synergies between data/computational science and the life, health and social sciences. More information on the workshop event page. 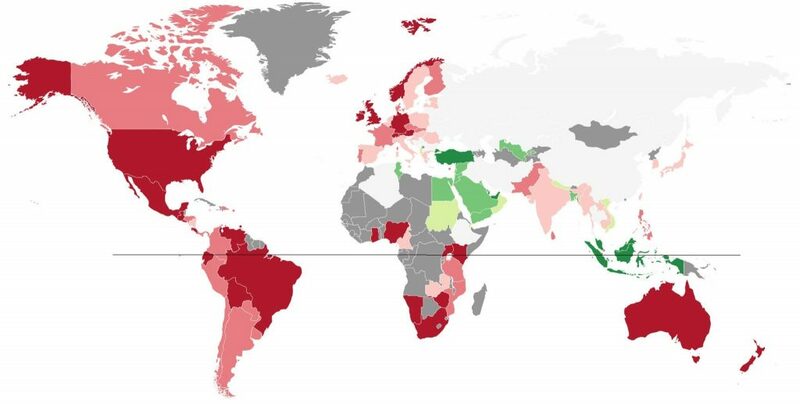 First global analysis of human birth-rate cycles reveals that post-holiday ‘baby boom’ persists across cultures, hemispheres. CNetS PhD student Ian Wood and Professors Luis Rocha and Johan Bollen, in collaboration with Joana Sá, used data science and computational social science methods to demonstrate that “Human Sexual Cycles are Driven by Culture and Match Collective Moods.” See full article at IU News and media coverage in many venues such as The Independent, Time, Newsweek, Publico, ScienceDaily, Phys.org, The National Post, DailyMail, The Hindustan Times, Men’s Fitness, Mother Jones, Drive with Yasmeen Khan (at 17:30) (audio of interview), etc. Discussion of the paper was a top trending topic on Reddit. Watch a short video about the research. 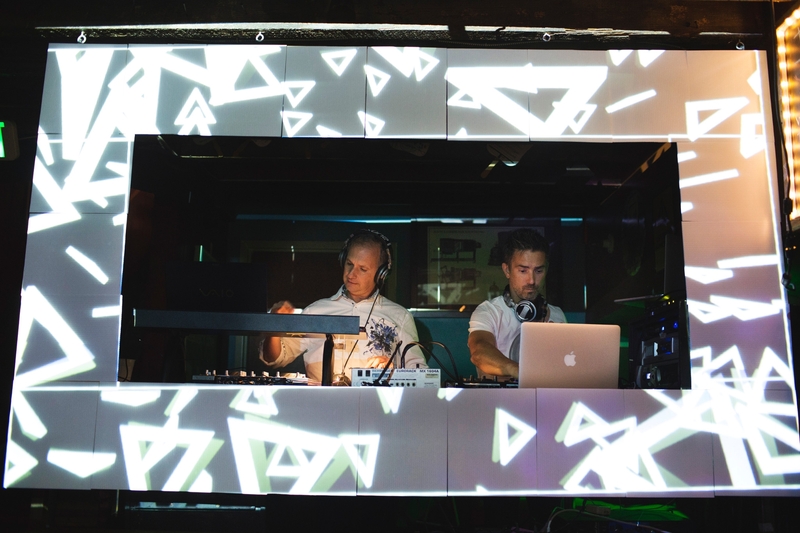 “On the last Friday of each month, instead of heading home to their families after the weekly School of Informatics, Computing and Engineering faculty meeting, professors Luis Rocha and Johan Bollen head to the Root Cellar Lounge and become DJ E-Trash and DJ Angst. […] Both Bollen and Rocha are considered experts in the field of complex networks and systems, and they agree that when they DJ, they are part of just the kind of complex systems they study”. See full article at IU News. The National Science Foundation has awarded nearly $3 million to train future research leaders in Complex Networks and Systems, via the PhD Program established by CNETS faculty. The highly selective grant from the NSF’s Research Traineeship Award will create a dual Ph.D. program at Indiana University to train graduate students to be proficient in both a specific discipline, such as psychology or political science, as well as network, complexity and data science. The new Ph.D. program will also leverage the strengths of the Indiana Network Science Institute, or IUNI, to involve students in interdisciplinary research.”The biggest challenges currently faced by society require large teams of people who are ‘fluent’ in more than one scientific discipline,” said Luis Rocha, CNETS professor in the IU School of Informatics, Computing, and Engineering who will lead the new program. “But the current education model in academia is still largely focused on training researchers who know how to set up independent labs with agendas driven by a single person. If we want to take on the really big problems, we’ve got to create more scientists with deep expertise in multiple areas.” Full Press Release Available. 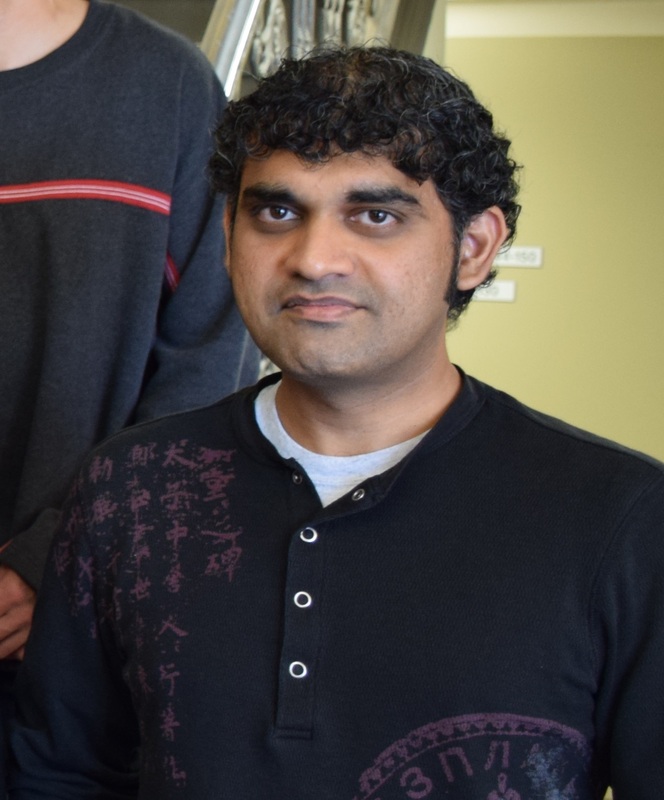 Congratulations to Santosh Manicka for successfully defending his dissertation entitled “The Role of Canalization in the Spreading of Perturbations in Boolean Networks” on April 24th 2017, Supervised by Luis Rocha. Santosh completed a PhD degree in the Complex Systems track of the Informatics PhD Program. Congratulations to Alexander Gates for successfully defending his dissertation entitled “The anatomical and effective structure of complex systems” on April 3rd 2017, co-supervised by Randy beer and Luis Rocha. Alex completed a dual-PhD degree in the Complex Systems track of the Informatics PhD Program as well as the Cognitive Science program at Indiana University. 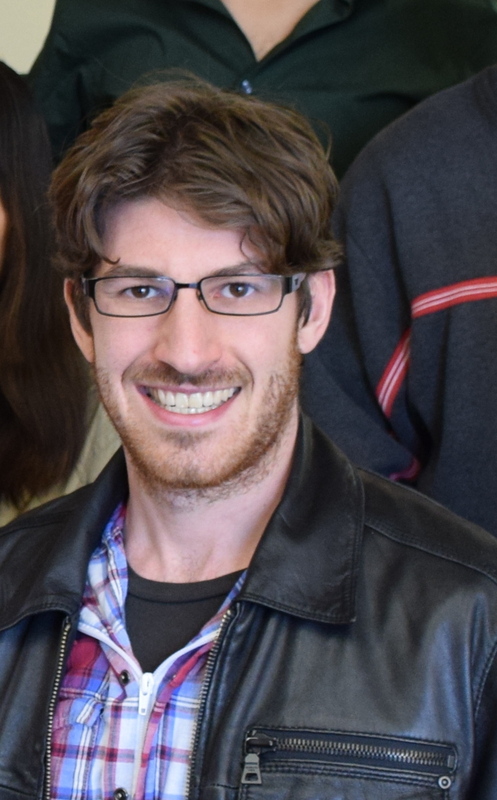 Alex has accepted a postdoctoral position at Northeastern University at the Center for Complex Network Research. ‘Musical Morphogenesis’ is an interactive installation that translates to sound, movement and lights the dynamics behind the development of petals in a flower. It is a collaborative piece developed by designers, architects, musicians and scientists in Luis Rocha‘s CASCI group. The control of this robotic “macroscope” is an implementation of the gene regulatory network of the Thaliana Arabidopsis flower. The installation provides a sensorial exploration of the dynamics between genes and proteins that leads to organ formation in plants, namely sepals, stamen, and petals. The genetic network provides an interactive “genetic soundtrack” that allows visitors to control the development of the plant towards its wild-type or mutant states. The installation has been on display at various museums such as the Science Museum in Lisbon, Gulbenkian Foundation, and the Belém ArtFest. This week it will be displayed at Dia D Ligações – Gulbenkian Foundation. Sponsored by Persistent Systems. 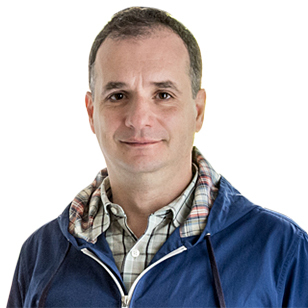 Luis Rocha, Director of the Complex Systems PhD track in the School of Information and Computing at Indiana University Bloomington, explains the new software-driven approach to medical research. Big data generated through social media such as Twitter and Instragram provides a far deeper and fuller examination of the impact of medicines and diseases, leading to greater actionable insights to improve the efficacy of prevention and treatment.